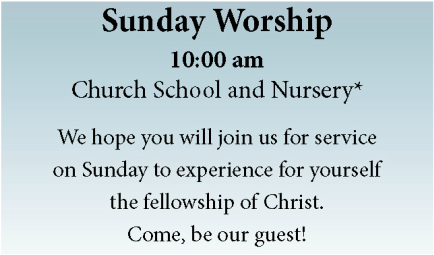 ​We hope you will consider making FCC your church home. The members of the First Congregational Church have a strong and long standing commitment to children and their families. for families as they grow in faith toward God. Mark your calendar! 2019 Vacation Bible Camp is the week of July 15-19, 9am - noon. The First Congregational Church of Chatham is again planning to hold every other Tuesday Craft Fairs this summer on its church lawn which fronts on the Chatham Rotary at the intersection of Main Street and Old Harbor Road. Our “Every Other Tuesday Craft Fairs” will be held on​ July 9, July 23, August 6, and August 20 from 9 am​ until 4 pm. If you are an artisan and are interested in participating, we have a limited amount of spaces.